Review Fix chats with Academy Award nominated filmmaker Bill Plympton, who discusses his newest film, “Revengence,” as well as his creative relationship with Jim Lujan and how Kickstarter has played an integral role in his career. For more information on “Revengence,” click here. Review Fix: Can you tell us what makes this film different from your slew of other animated features? 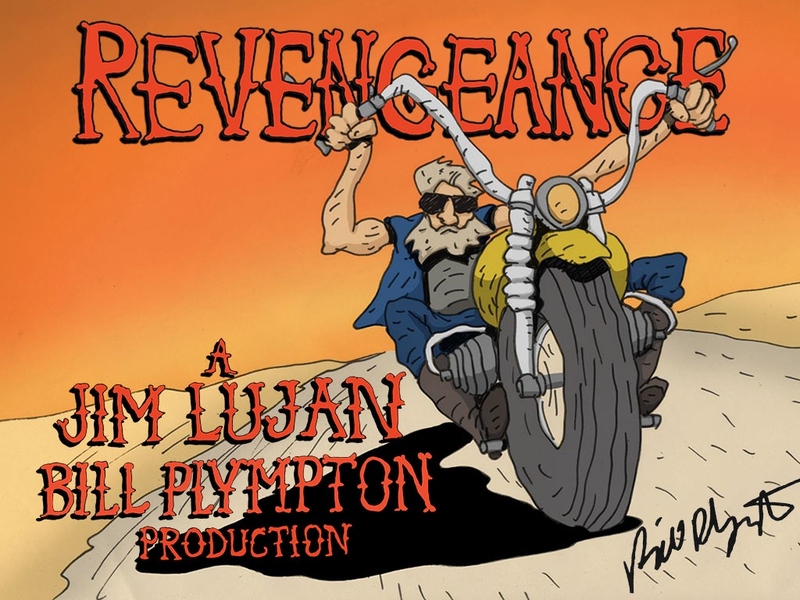 Bill Plympton: REVENGEANCE is very different from my other films because visually, it’s closer to Jim Lujan’s look, which is more simple, naive, and crude – which I love. Also, it’s the first time I’ve used another person’s script to create a feature film, and I love it. Review Fix: What do you think makes your artistic voice unique? Plympton: I’m very independent compared to other animated feature creators, I use my own money to finance my films and that gives me the luxury to make the films when I want and how I want – no one can make me change the film from my vision. Review Fix: What was the development process for this film like? Plympton: I called Jim Lujan on the phone after seeing his DVDs of short films and asked if he wanted to do a feature film together. He said yes, then he took about a month to write a script. After, I wrote out a rough storyboard, then a much more detailed 250-page storyboard. Jim approved it, and I began drawing the animation. I’ve animated about 1/3 of the film so far. Review Fix: What do you think you learned about yourself through this film? Plympton: That I need to let Jim Lujan write all my scripts – he’s a genius. Plympton: I hope they laugh. Review Fix: How has Kickstarter played a role in your career and this film? Plympton: Kickstarter has given me the freedom to spend more money on the film where it’s needed, and make the films more professional. Also, through Kickstarter I’ve been able to gather more fans to help spread the word about the film. My executive producer, Adam Rackoff convinced me to first try Kickstarter about four years ago. He spearheaded all three of my Kickstarter campaigns, including this one. He’s a crowdfunding guru. Plympton: I’m working on a mockumentary about Adolf Hitler’s love of animation and how he became the Walt Disney of Europe.